I cannot believe that our kiddos are starting school next week! About two weeks before school starts, I go into full on crazy organizing mode. 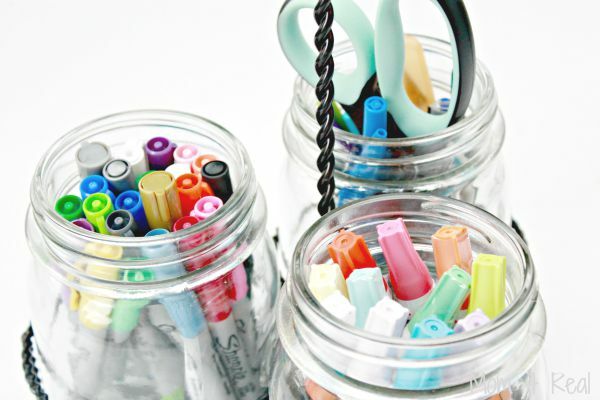 With my kids getting older (12 and 17), we really don’t have a use for crayons and construction paper as much as a need for paper storage, pens and pencils and a place for them to use their laptops and do their homework. I can’t even believe we are talking about homework right now, when it’s like 90 degrees outside here!!! 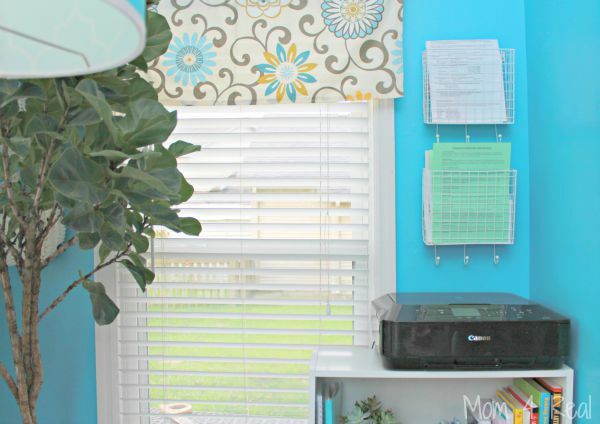 To set the perfect, calm mood for homework doing and such, I wanted to create a creative space that still feels like the rest of our home, but a little more fun! I took a trip to Kirkland’s to grab some items to spruce up our space and get it organized for back to school! The first thing I found was this awesome Mason Jar Caddy! First of all, y’all know I love Mason jars. 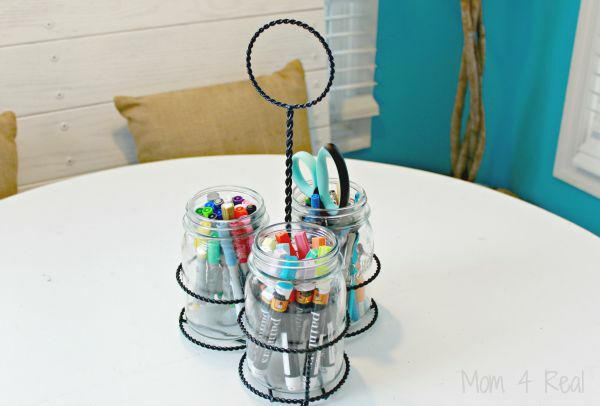 Second, I love organized things, so this was the perfect thing for the middle of our breakfast nook table. I mean, how cute are all of our Sharpies, paint markers, pens, pencils and scissors all tucked in this cute caddy? The next thing I wanted was a place to hold papers that come home from school, especially since Cam is heading to college next year and we get a ton of mail from different schools. 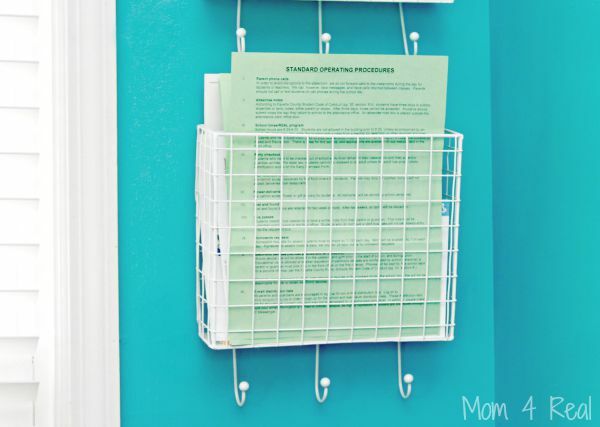 Cam’s will hold college papers and testing information while Kate’s will hold papers from school and any project information or class syllabus she may receive. I love the Wire Paper Baskets that I found at Kirkland’s! They even have hooks on the bottom. I’ve already started to fill them with incoming papers from their schools about this school year. 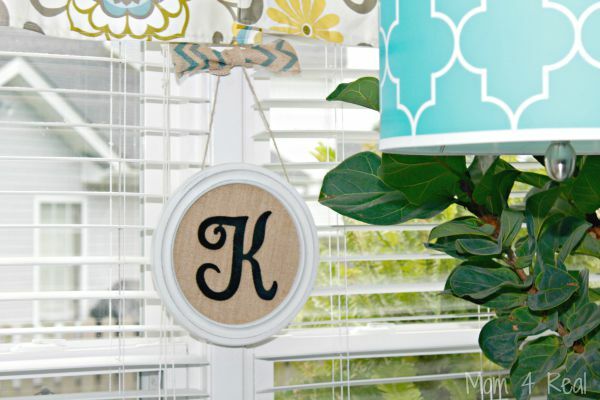 I found this super cute Hanging Burlap Monogram to add a little whimsy to the space! I love anything monogrammed (I’m Southern after all), so this was the perfect little touch! Of course, we needed some Baskets to hold school supplies like extra pencils, pens, notebook paper and other office supplies. 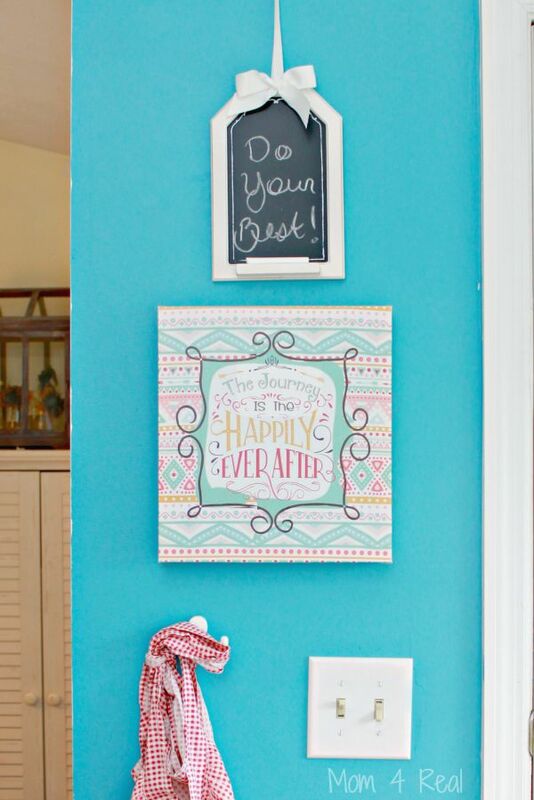 To finish off the room with some cute touches, I found this cute little Chalkboard and Encouraging Wall Art. They are nice reminders that enjoying life is important. 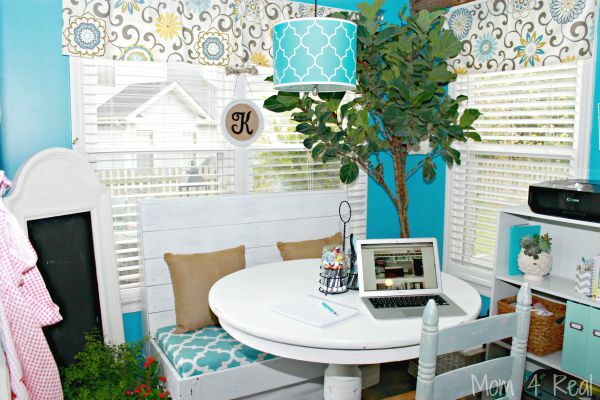 I love adding positive touches to this space so it may help homework be a little less stressful! 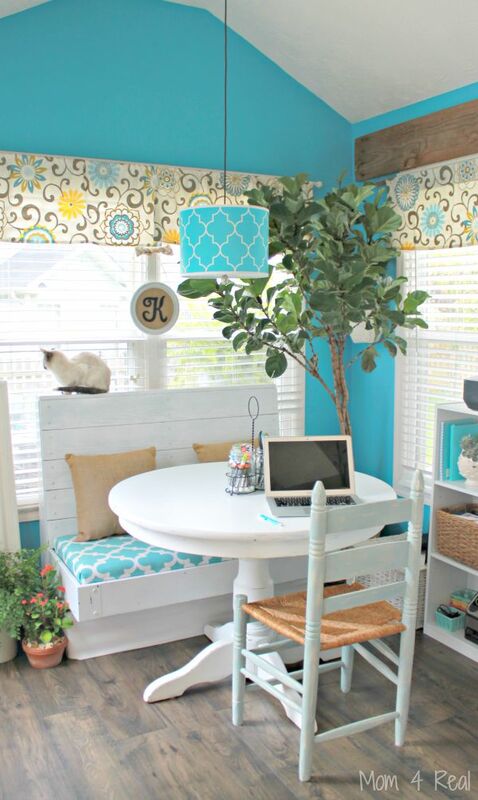 I love the way this space turned out…the booth has two of my favorite Burlap Pillows from Kirklands, and I also added some live plants to make the space a little more serene. If you don’t have a booth (I mean, who does really? 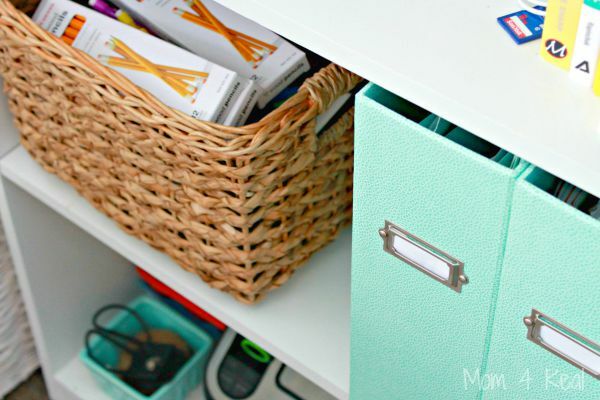 ), this awesome Storage Bench with Baskets is a great alternative! I can work here during the day, and the kiddos can work here in the evening while Matt and I cook dinner so we can help them if they need us! Kirkland’s wants to gift one of you, my amazing readers, a $100 gift card! The lucky winner can use it to do some back to school shopping or just buy some things to spruce up your home! Use the Rafflecopter widget below to enter!! !